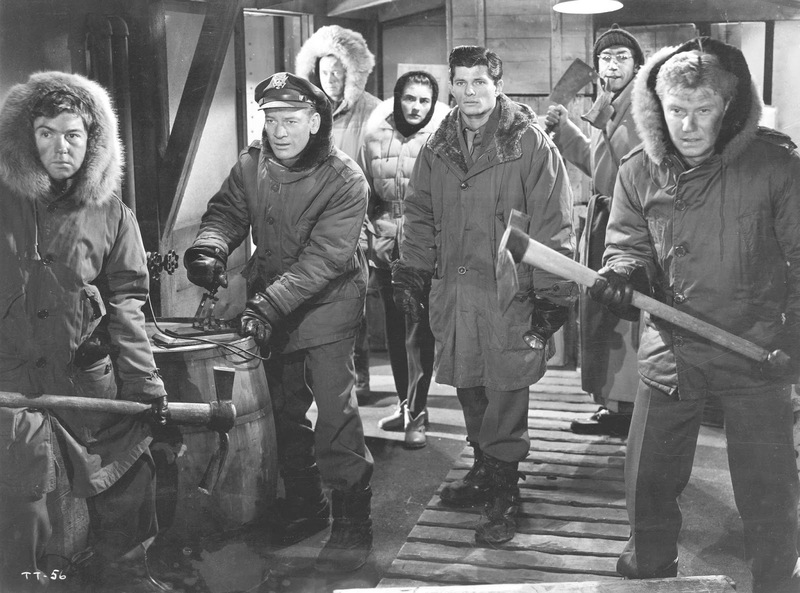 This classic thriller concerns the crash-landing of a flying saucer in the high arctic. 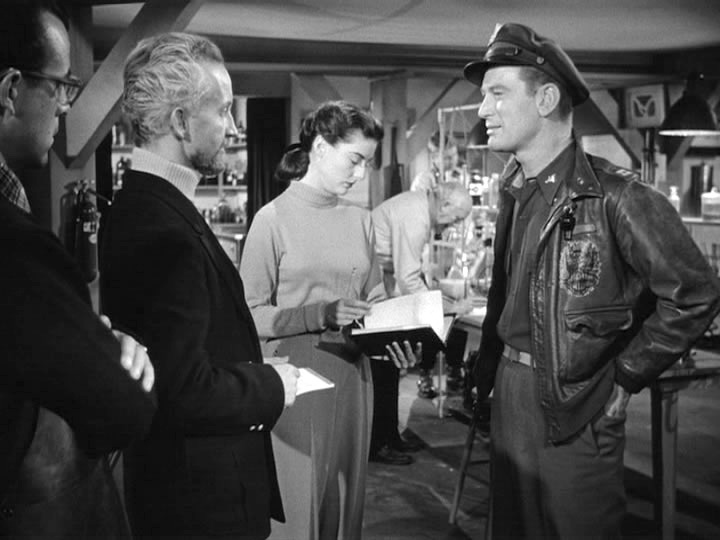 The passenger is frozen in ice, and found by a mixed group of civilian scientists and U.S. servicemen, who take the alien back to their research station. There, the creature is inadvertently thawed, and begins to wreak havoc. 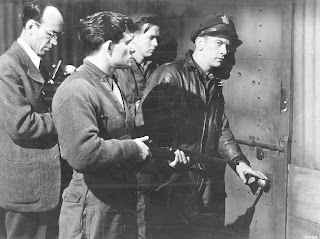 Usually, a movie that deviates far from the source material (in this case, a novella entitled Who Goes There?) is heading down a detour to lukewarm reviews. 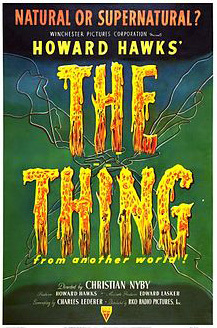 The Thing from Another World, however, forges its own road and creates one of the best science fiction / adventure films you will see. Everything works in this gem, with excellent writing, acting, and direction. I am a big fan of good writing, so I will start with that. 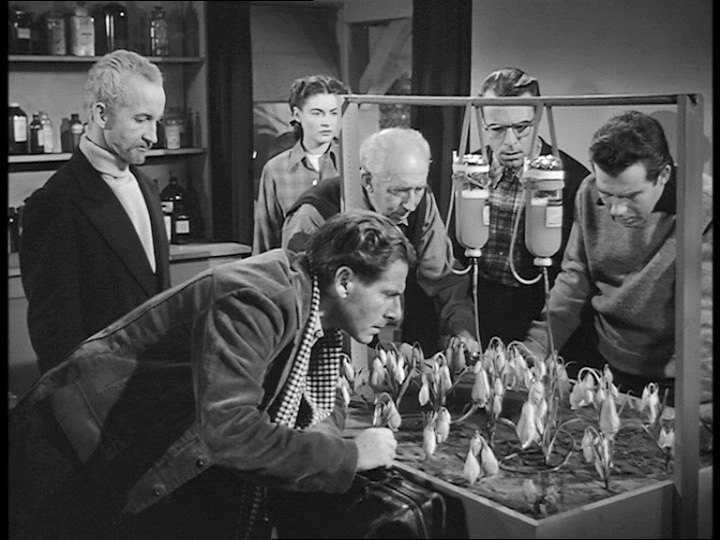 The script (by Charles Lederer) is smart and clever, with explanations of what is happening, what the creature in question is and how to deal with it, conveyed by means which make neither the speaker seem stilted or unnatural, nor the listener artificially ignorant. 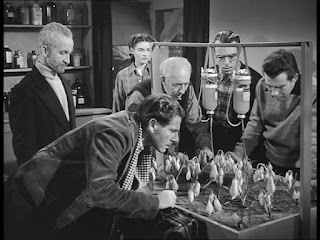 The characters are almost immediately seen as three dimensional, with personalities shown not just by what they say but just by the mere fact that they are saying it. There is humour, as well; not the misplaced humour of the generic joke inserted without reason, but the sort that people under stress would create, either intentionally or otherwise, and the sort that people who are intrinsically amusing might use. The characters are, for the most part, likeable people, which is something one doesn’t come across too often in films. There is usually a character who is abrasive, abusive or otherwise unpleasant, thrown in to create tension or conflict. His motives are usually weak or simply not demonstrated. There is none of that here. These are ordinary people, individuals, with whom, while one may not want them as best pals, one doesn’t mind spending time. Even the ‘human villain’ of the piece, though he may come across as fanatical, exudes a certain sympathy. The actual dialogue is very natural and smooth. At times, two or more characters speak at once, cutting each other off, talking over each other and finishing each other’s sentences. Think of how many times this happens in real life and how many times it doesn’t occur in movies, and you’ll get the idea of how realistic the dialogue is. The direction is disputed. 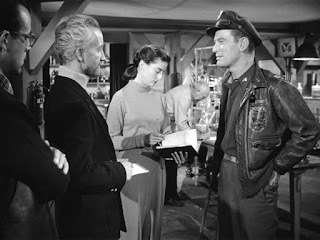 Christian Nyby is credited with the job, but it has long been believed that producer Hawks had a large hand in it. Whoever was in the chair, his work was lean, exciting and very good. There are scenes which easily rival some of the best bits from fine movies these days. 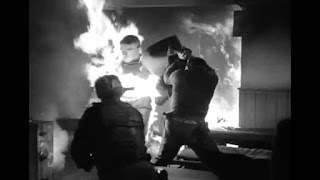 The scene in which the humans try to fight the alien with fire is thrilling, and must be one of the earliest in which a stunt-man was fully engulfed in flames for filming. The Thing from Another World is a snappy and fun night at the pictures. Many movie-makers of the twenty-first century could learn lessons from this old-time entertainment. I have not seen "The Thief of Baghdad", but will see if it's one I can obtain. I am behind on my silent films, though my favourite is probably "City Lights" - so redolent of its era. Oh, thanks for reminding me about this one! I love vintage sci-fi/horror films, and "The Thing..." was one of the best. Aaaand...I see I can stream it (for a rental fee) on YouTube. Excellent. Science fiction then was almost an undiscovered country: anything was game because it hadn't been done. What opportunities! I take it this was the original that was later remade by John Carpenter? Not often that two versions of the same film are excellent. Yes, though in story-line Carpenter's is closer to the novella. There is a third movie, from 2011, I believe, which is a prequel to the 1982 version.